The location is perfect. You're just located right in the center, one step out of the hotel and you are on the street with all the nice restaurants. The room is just simple and you look out of your window and you can see the nice street and lights by night. We added an extra breakfast and the breakfast is good! Super location, right on the main drag.Resturant food wholesome and old Dutch. Great fries!!! Ontbijt was simpel maar heel lekker,ook lekkere koffie. Heel goede bedden,hebben allebei geslapen als een roos! Vriendelijk personeel, midden in het centrum, gezellig interieur en terras. Mooie locatie, vriendelijk personeel, schone kamer. Gedeelde douche en toilet, maar erg schoon! De service, de vriendelijkheid waar we mee geholpen werden. Top locatie zo midden het centrum. Zeer vriendelijk en gastvrij personeel. Lekker eten en prima ontbijtje. Prima prijs kwaliteit verhouding. Uitgebreid ontbijt, vriendelijk personeel. Schone kamer. 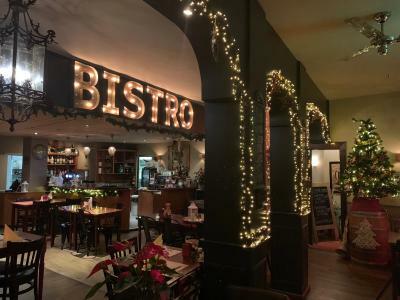 Le Bistro This rating is a reflection of how the property compares to the industry standard when it comes to price, facilities and services available. It's based on a self-evaluation by the property. Use this rating to help choose your stay! 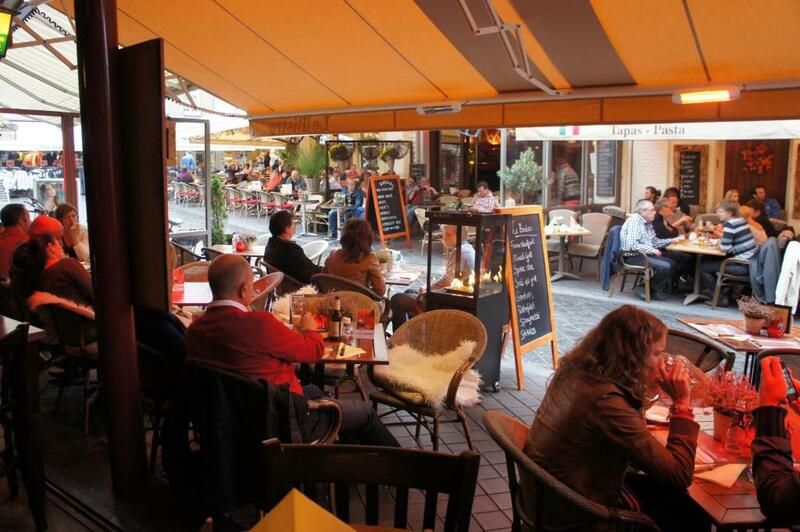 Le Bistro is located in the very heart of charming Valkenburg, along the main entertainment and shopping street of the town center. The rooms offer neat accommodations at competitive prices. Wake up each morning with a delicious free breakfast and make free use of the Wi-Fi connection throughout the hotel. Have a nice cup of coffee and a snack in the café, while relaxing with a newspaper. Weather permitting, you can sit out on the terrace along lively Grotestraat and watch all the people go by. The restaurant serves seasonal food à la carte at reasonable prices and in a warm, informal setting. 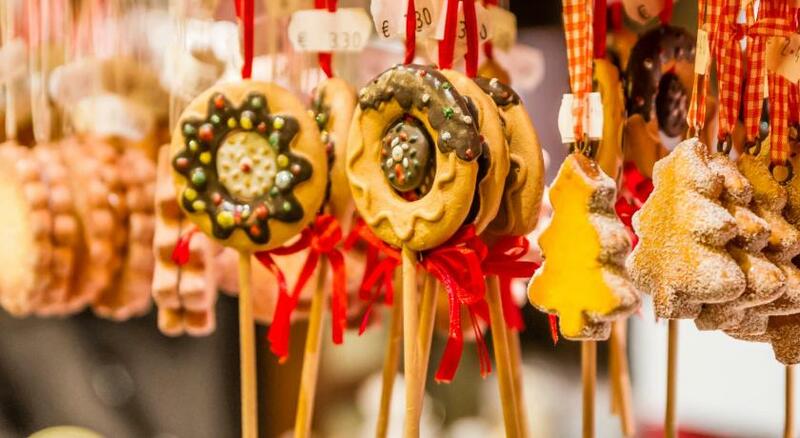 You can easily reach other well-known cities, such as Maastricht, Aachen or Liège. Don’t forget to visit Valkenburg Castle or go cycling through the beautiful surroundings. When would you like to stay at Le Bistro? Modern room with a flat-screen TV and shared bathroom. House Rules Le Bistro takes special requests – add in the next step! ATM card Le Bistro accepts these cards and reserves the right to temporarily hold an amount prior to arrival. Le Bistro accepts these cards and reserves the right to temporarily hold an amount prior to arrival. Payment should take place upon arrival. Le Bistro is opposite a noisy club bar that closes at 3 a.m on Fridays and Saturdays. Sleeping was not easy.